This adventurous outing offers an alternative if the other climbs in the area are crowded. Gear is sparse at times. 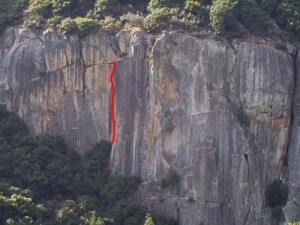 The last pitch is rarely climbed. Which SuperTopo guidebooks include a topo for Elevator Shaft?